Dr. Johanna has received advanced, specialized training in the treatment of this dysfunction, and frequently collaborates with top local dentists in providing state-of-the-art TMJ treatment. The care that Dr. Johanna offers is gentle and effective. 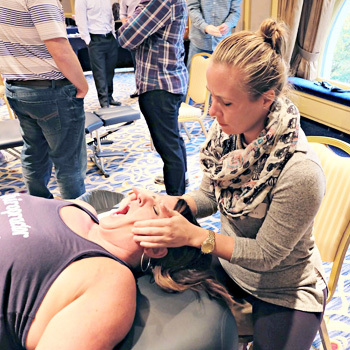 She’s aware that many patients suffering from TMJD usually have problems with the top two vertebrae in the neck, and it’s one of her priorities to make sure that those vertebrae aren’t “jammed up.” Misalignment in this area has a tremendous adverse effect on jaw mobility. It’s also her goal to retrain the specific muscles of the jaw and introduce home care exercises that can make a positive difference in your recovery. Can This Problem Be Completely Fixed? That’s something that cannot be known at the onset of care. We think it’s important to set realistic goals and expectations as to the outcome of your treatment. 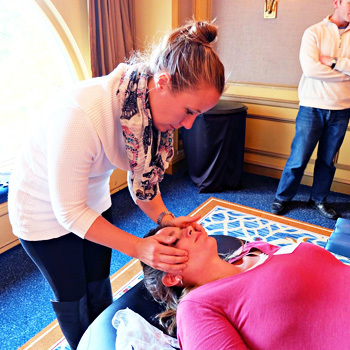 A reasonable question to ask would be: If my TMJ distress improved by 80%, would I feel that my treatment was a success? Your answer to that question is all that you need to know before coming in to start a customized care plan. We love the confidence that other health care practitioners in our community place in our ability to offer help and hope. Dr. Johanna has tremendous expertise in the treatment of TMJD, with results that earn her many referrals. Contact us today for a consultation!